With Mission: Impossible - Fallout now in cinemas across the UK, we sent reporter Annabella to sit down with actors Vanessa Kirby, Rebecca Ferguson and Henry Cavill, all of whom star in the latest instalment of the exhilarating action franchise. Ethan Hunt and the rest of the IMF team face a race against time to avoid catastrophe after a mission goes wrong. One of the most successful film franchises of all time, Fallout marks Tom Cruise's sixth outing as super-spy Ethan Hunt, an amazing 22 years since he first starred in 1996's Mission: Impossible. When a mission ends badly and one of Hunt's old nemeses escapes custody, the world is faced with dire consequences. Going on the run with his team, Hunt takes it upon himself to fulfil his original brief, and finds himself in a race against time and hunted by a CIA assassin while trying to prevent a global catastrophe. Check out Annabella's interview with Henry Cavill above, where the Superman actor talks about the challenges of performing intense physical fight sequences, the way Tom Cruise leads by example on set, and the welcome - if terrifying - nature of getting to perform the incredible stunts that the franchise is known for. You can read Annabella's review of Mission: Impossible - Fallout further down the page, and head over to our Get Into Film YouTube channel to see her interviews with Rebecca Ferguson and Vanessa Kirby for more insight on the film. Mission Impossible: Fallout is in cinemas across the UK from 25 July 2018. Visit Find Any Film to find screenings of the film near you. 150 minutes of ingenious storytelling, jaw dropping stunts and heart racing action - the Mission Impossible series continues with it's sixth instalment: Fallout. The film whisks the audience away to destinations across the globe, along with Ethan Hunt and the IMF, saving the day one mission at a time. Christopher McQuarrie took his second opportunity to direct the sequence and completed the mission with flying colours. From beginning to end, the action blew my expectations out the window, and forgetting to breathe was a regular occurrence among the calculated and skilful fight scenes and plot twists. The film was a convoluted maze but the IMF guides their fully invested audience through to the end. In my eyes, part of what made the film a massive success, was beneath all the glorious stunts, you'll find the IMF's wonderful friendship. Their diverse personalities and non supernatural powers, make them pretty damn normal. This enables the audience to relate to how they're feeling in the impossible situations that the IMF find themselves in. Furthermore, balancing the film with humour and character depth, with outstanding performances from a familiar looking cast. I particularly enjoyed Rebecca Ferguson's performance as Ilsa Faust. Her character goes on an interesting journey and Ferguson showcased captivating scenes illustrating Ilsa's intelligence, strength and independence in numerous vulnerable situations. I found it refreshing not seeing any damsels in distress within an action film. It's definitely not weak for a character to seek help, but I am glad to see that the women in the film were being represented fairly and positively. Ok, but now let's talk about the stunts. As teased in the official trailer, we see the phenomenal bike chase through Paris. It reminded me of the car games I would play growing up, however, I would constantly be clipping wing mirrors and being beaten by the clock (and all the other players). Ethan hunt prospers and does it in style. The camera framing keeps the audience feeling within the action, creating a great cinematic experience. This is only a taste of what to expect from the rest of the action. 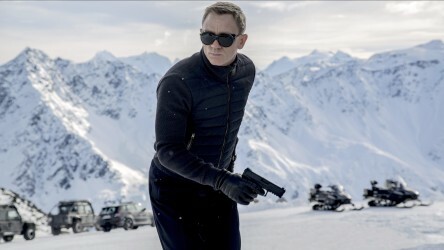 MI:6 was incredible and has set the bar extremely high for other upcoming action/spy films. 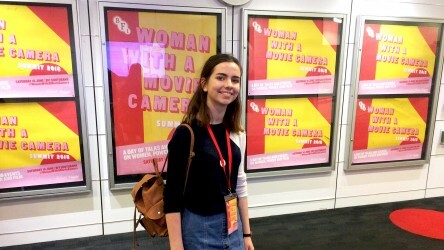 We sent reporter Alexa to experience a day of talks on why gender equality is vital in the film industry at the BFI's 'Woman With A Movie Camera' summit. 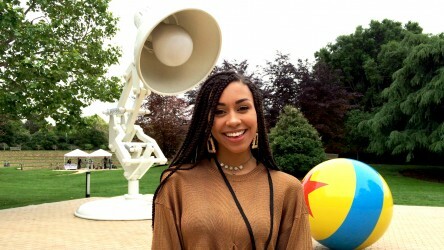 We sent reporter Annabella all the way to San Francisco to visit the famous animation studio and find out all about their latest film, 'Incredibles 2'. 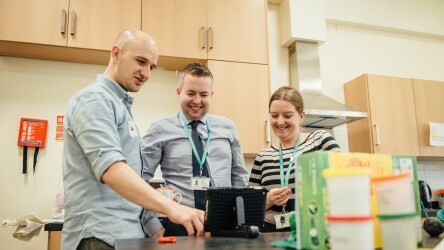 We've pulled together a whole range of resources, competitions and other activities to help you keep you and your students busy over the summer holidays.